Casey Panelbeaters have been in business for more than 30 years, which mean you get experienced panelbeaters repairing your vehicle. Each person that carries the Casey Panelbeaters name is taught to be a dedicated service provider that aims to make the community happy. Our team is as friendly as they are efficient. We make sure that each individual who will be in contact with you will treat you with respect and your car with care. 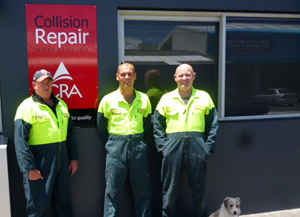 Our staff are trained by iCar New Zealand - a training organisation dedicated to improving the quality, safety, and efficiency of auto collision repair - for the ultimate benefit of the consumer. So you know the person working on your car has the necessary technical knowledge and skills to achieve a complete and safe repair. At Casey Panelbeaters in Auckland, safety is our number one priority. We do everything we can to make sure that our workshop is safe for our workers, anyone visiting and your vehicle. To achieve the best possible results, clear communication is needed. At Casey Panelbeaters, we encourage our staff to communicate with customers and find out the specific details on how the work needs to be done. We then ensure communication is frequent so that each party is on the same page at all times. At Casey Panelbeaters, we respect our clients and do everything in our power to ensure they are looked after. If clients have unusual requirements, we listen closely and take everything on board. We are happy to go out of our way to ensure our clients are completely happy and will always do so. 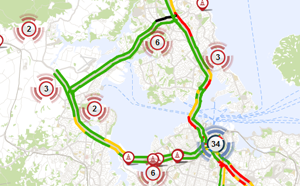 So for panel beaters in Auckland that care, book in today. Casey Panelbeaters are authorised repairers for Holden, Mazda and Hyundai.